Over the weekend thousands of scientists and supporters of science across the world took part in March for Science events from Washington, DC to Sydney, Australia. 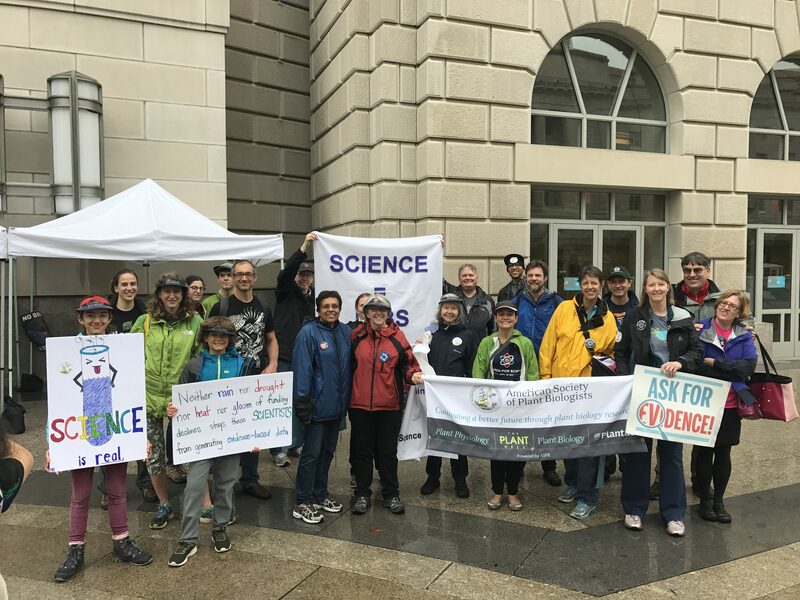 (Please see community statement, which ASPB joined, applauding the March for Science.) Plant scientists and ASPB staff marched in support of the countless contributions science has made and will make to society. From ensuring the safest and most reliable food supply the world has ever known to dramatically increasing average life expectancy, science has delivered! Now, the challenge becomes translating the energy of our community into sustained engagement with the public and policymakers, and ultimately increased support for science and evidence-based policymaking. To achieve these ends, we need our entire community to remain engaged in advocacy and outreach activities. One way to get involved in the near-term is by participating in Fascination of Plants Day on May 18, 2017. You can promote science outreach in your community by organizing an event to take place May 18! Contact plantday@aspb.org to register your event and learn more by visiting our blog. Share your fascination for plants on social media with the hashtag #PlantDayUSA and be entered into the photo and video contest (contest rules). 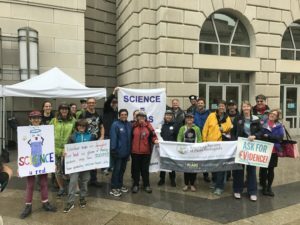 If you participated in the March for Science on April 22, take our brief post-march survey.